Dubai is one of the most populated cities in the United Arab Emirates which consists of 2.71 million populations in which 90 percent population comprises expatriates. Every day, Dubai welcomes a great proportion of job hunters coming from every side of the world to make their dreams come true. During the job-hunting period, job seekers find it difficult to have a lunch meal but now there is good news for all job seekers who can't afford their lunch. It is for all job seekers to avail free lunch any day of the week. Free Lunch deal is basically a combo meal in which they can choose a main dish along with the sidelines which include noodles or rice, and water. 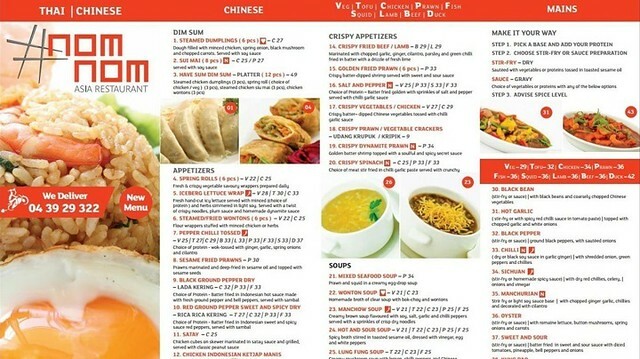 Free lunch deal is provided by the Nom Nom Asian Restaurant located in Al-Karama and Al Barsha. The meal has no cost and is free but those job seekers who don’t want to avail this opportunity as a charity and have strong wish to pay the cost of a meal back once they can pay can do so as well. These words are written on a signboard which is placed in front of the Nom Nom Asia Restaurant. 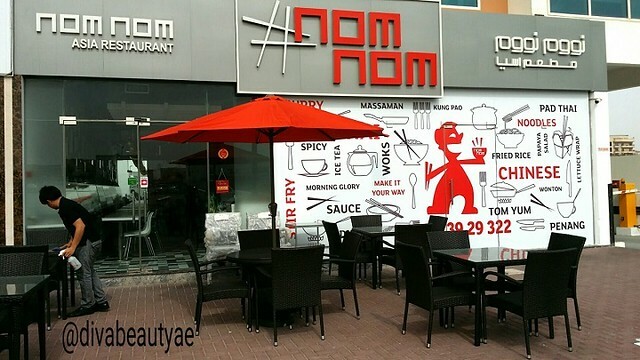 The Nom Nom Asia is a restaurant located in Al Barsha. It has been serving this great deal for almost a year while its branch located in the Al-Karama opened in June and from June it is serving free lunch. Labiba Laith is a Dubai-based food consultant who shared the photo of the signboard on social media. Labiba Laith captured shots of the NomNom Asia Restaurant and the eye-catching words on the signboard which attracted her. The great idea of a free lunch meal was actually introduced by the co-owner of the restaurant who is Vivek Balaney. Vijay Kumar, who is the manager of the Al-Karama branch, told that some people who avail our offer come back with good news most of the time. They feel pleasure to see them come back and inform them about their job. That is actually their reward. 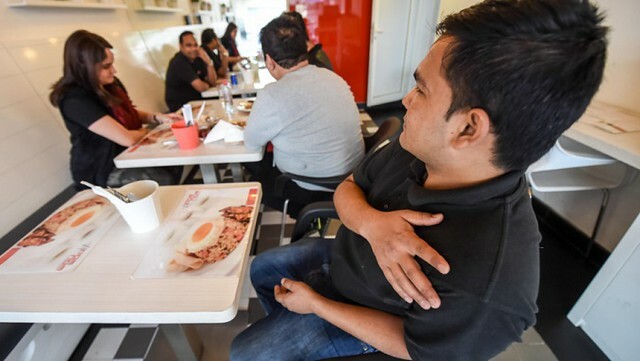 The Nom Nom Asia Restaurant keeps doing their appreciable efforts daily in the best possible manner as much as they can by providing free combo meals to all the job seekers in Dubai. We have best wishes for Nom Nom Asia Restaurant. Good luck!